Björn Lomborg erinnerte Ende Oktober 2015 im Vorfeld des Pariser Klimagipfels im Rahmen eines Beitrags im Wall Street Journal daran, dass es eine Vielzahl von drängenden Problemen in der Welt gibt, die mit mehr Engagement relativ leicht zu lösen wären. Trotzdem fokussieren viele reiche Industrienationen noch immer ihre Bemühungen einseitig auf den vieldiskutierten und noch immer schlecht verstandenen Klimawandel. Lomborg macht klar, dass dies unmoralisch sei, da unsichere Probleme der Zukunft in der Prioritätenliste verständlicherweise deutlich hinter akuten Problemen der Heutezeit zu rangieren haben. Gibt es einen solaren Einfluss auf das Klima? 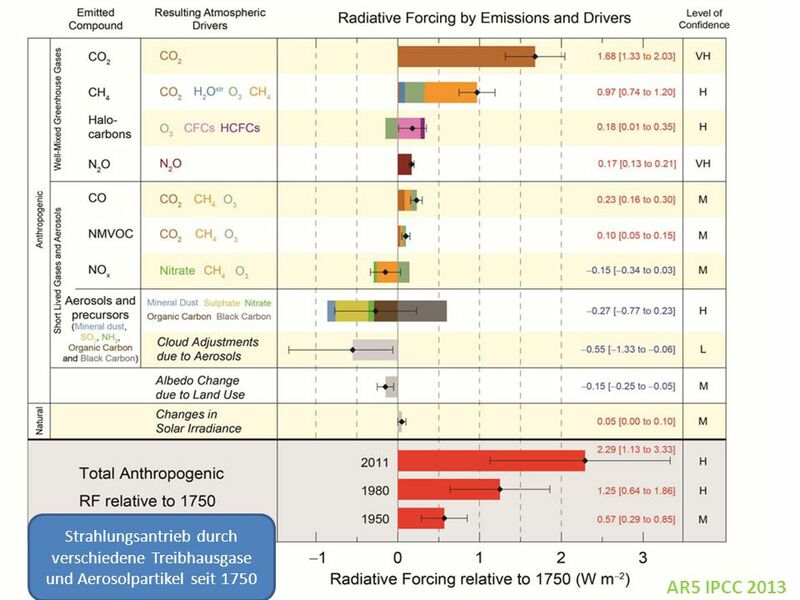 Der IPCC setzt die Klimawirkung von Sonnenaktivitätsschwankungen in seiner berühmt-berüchtigten Tabelle zum “Strahlungsantrieb” mit einem verschwindend geringen Wert an. Dabei gibt es eine Vielzahl von wissenschaftlichen Studien, die das ganze Gegenteil unzweifelhaft dokumentieren. Sehen Sie Übersichten zu diesem Thema auf Alfred Brandenbergers Klimaseite sowie hier im Kalte-Sonne-Blog. A type of bacteria plucked from the bottom of the ocean could be put to work neutralizing large amounts of industrial carbon dioxide in the Earth’s atmosphere, a group of University of Florida researchers has found. Carbon dioxide, a major contributor to the buildup of atmospheric greenhouse gases, can be captured and neutralized in a process known as sequestration. Most atmospheric carbon dioxide is produced from fossil fuel combustion, a waste known as flue gas. But converting the carbon dioxide into a harmless compound requires a durable, heat-tolerant enzyme. That’s where the bacterium studied by UF Health researchers comes into play. The bacterium — Thiomicrospira crunogena — produces carbonic anhydrase, an enzyme that helps remove carbon dioxide in organisms. So what makes the deep-sea bacterium so attractive? It lives near hydrothermal vents, so the enzyme it produces is accustomed to high temperatures. That’s exactly what’s needed for the enzyme to work during the process of reducing industrial carbon dioxide, said Robert McKenna, Ph.D., a professor of biochemistry and molecular biology in the UF College of Medicine, a part of UF Health. “This little critter has evolved to deal with those extreme temperature and pressure problems. It has already adapted to some of the conditions it would face in an industrial setting,” he said. The findings by the McKenna group, which included graduate research assistants Brian Mahon and Avni Bhatt, were published recently in the journals Acta Crystallographica D: Biological Crystallography and Chemical Engineering Science. The chemistry of sequestering works this way: The enzyme, carbonic anhydrase, catalyzes a chemical reaction between carbon dioxide and water. The carbon dioxide interacts with the enzyme, converting the greenhouse gas into bicarbonate. The bicarbonate can then be further processed into products such as baking soda and chalk. In an industrial setting, the UF researchers believe the carbonic anhydrase could be captured this way: The carbonic anhydrase would be immobilized with solvent inside a reactor vessel that serves as a large purification column. Flue gas would be passed through the solvent, with the carbonic anhydrase converting the carbon dioxide into bicarbonate. Ideally, Bhatt said, more research will produce a variant of the enzyme that is both heat-tolerant and fast-acting enough that it can be used in industrial settings. Next, they want to study ways to increase the enzyme’s stability and longevity, which are important issues to be addressed before the enzyme could be put into widespread industrial use. While carbonic anhydrase’s ability to neutralize carbon dioxide has been widely studied by McKenna and other scientists around the world for some time, finding the best enzyme and putting it to work in an efficient and affordable carbon sequestration system has been challenging. Still, McKenna said he is encouraged by the prospect of discoveries that could ultimately benefit the planet. “It shows that it’s physically possible to take known enzymes such as carbonic anhydrase and utilize them to pull carbon dioxide out of flue gas,” he said.